Dave Hole had been on my radar for many years thanks to regular mentions from a mate, noting that he doesn’t release much or tour Australia often. So here comes Goin’ Back Down album number 12 (I think) – after at least 3 years of preparation, writing and learning about engineering and production, building a studio, as well as working out all of the various musical parts he was going to play. Eight of the tracks see Dave Hole playing everything himself, along with some samples and loops, and 3 tracks feature some sidemen on Bass, Drums and Keyboards. The opening to Stompin’ Ground immediately catches the attention with the rough-edged slide guitar and the empty spaces in the verse and chorus before the pure clean solo breaks in over the solid drum patterns, and features a multi-layered guitar piece through the sudden ending. We return to the song as the album closer Goin’ Back Down, being the two ends of essentially the same song. 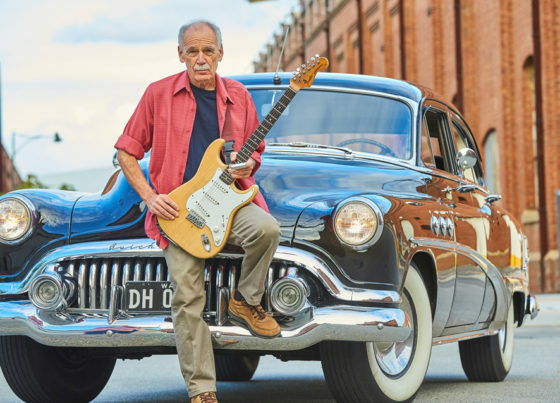 Dave reveals that Too Little Too Late was in his head as a song one morning, and is a rollicking blues workout in which all the musical parts seem to be having fun, and Dave’s lazy vocals and harmonies glide smoothly over the backing. These Blues Are Here To Stay is an extended slide guitar display, with some great honky tonk piano from long-time keyboard player Bob Patient and a driving drum beat from Ric Eastman. This really feels like a band playing, and Dave lets rip both with his voice and the guitar, and delivers a blistering solo or three as the song just keeps pounding on. We get a more traditional piece of slide guitar and a Robert Johnson lick over a repetitive bluegrass beat with Measure of a Man featuring the National Tricone brass guitar and some thoughtful lyrics (like many of Hole’s words) that may or may not refer to a recent US President. Bobby’s Rock has a totally different feel to it, as an instrumental shuffle written by Elmore James, featuring the band, and allowing Dave to just play around with different sounds from the guitar(s). The only real blues standard on the record is the slow-burning Used To Be again backed by the band, and with the addition of some haunting Sax from Paul Millard to provide a great counterpoint to the guitar, and more depth to the keyboards in background. This one does homage to the call and response style that hero BB King was known for, and features a normal guitar rather than slide for a change. We get another Elmore James track next in Shake Your Money Maker which seems some great drumming from Hole this time that pushes this rock’n’roll standard along, with the vocals and slide guitar giving the song an earthy feel to it. The next track is a Dave Hole original, but sounds just like a number of Merseybeat standards, with some Everly Brothers vocal harmonies over the top, and masses of reverb and echo on the guitar, akin to The Shadows. Something of an odd one for the record, but reminiscent of a lot of what Dave would listen to growing up the 1960s. Back Door Man picks up the tempo again and features more ripping slide guitar and some interesting rhythms and percussive beats. Another out of character track is the beautiful ballad Tears for No Reason, played on nylon-stringed classical guitar, and featuring some luscious cello from Jon Tooby. The lyrics again are beautifully delivered and thought-provoking, with depression as the centrepiece – and the song requires several listens to really appreciate the quality of the guitar-playing. After the brooding sentiment of this one, it is something of a relief to reprise the raucous slide guitar with the solo and extended outro of the open & closer with the title track. This shows the true face of Dave Hole, and brings to mind a bunch of the new breed of country / blues / rock bands like The Cadillac Three with a real rock punch delivered through the steel guitar, and some vocal interjections that act as extra instruments more than vocals. 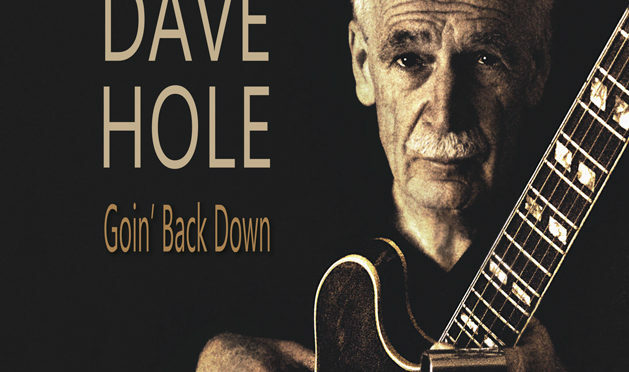 Dave Hole is something of an Australian legend – often acclaimed as the best blues guitarist Australia has produced, and plenty of worldwide exposure in Europe in particular, with some success also in the USA where he was compared to the likes of Albert King and Stevie Ray Vaughan. 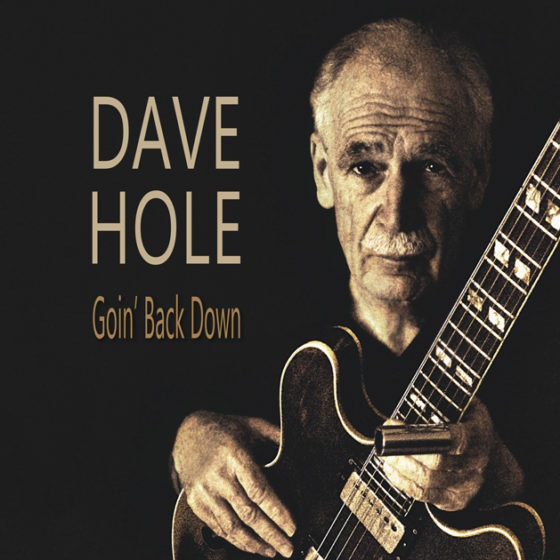 As an introduction to the man and his music, this has a lot of what you would expect from a Dave Hole album, and a couple of surprises that show an added depth and range to the man, and plenty of credit also to him for the playing and production duties. Dave Hole is on tour around Australia through May 2018, with me sadly being unable to get to any of the shows due to other travel commitments! I’ll have to wait until the next tour! GOIN’ BACK DOWN is out now.